Please use the report fraud phone numbers from each credit reporting agency to place a fraud alert on your credit report. We recommend that you call all three credit reporting agencies because they may have different information that might cause the fraud alert to be denied. These will be automated systems, please listen for the prompt for the fraud alert. 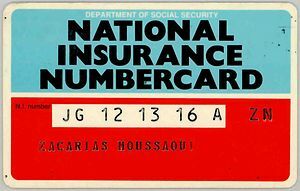 The automated system will ask identifying questions, such as your name, Social Security Number (US), National Insurance Number (UK), address number, and date of birth. This is to verify your identity. If you are successful in placing the fraud alert on your credit report, you will receive a confirmation number immediately or you will receive a notification letter by mail within the next 10 to 14 business days. On your notification letter, there will be a telephone number to request a free copy of your credit report. Please contact theCRA’s immediately to obtain these reports. You are not successful in placing the fraud alert if the automated system asks for you to write to them with documentation. This is common for victims of identity theft. The credit reporting agencies usually require a copy of a current utility bill, copy of your current driver’s license or a state ID, and a letter with your full name, Social Security Number and date of birth, requesting a fraud alert be placed. You will also want to request your free credit report in the letter. Wow , what an amazing blog. Keep up the nice work!